By Hemamalini Kulasekaran, senior analyst, pre-clinical research, Beroe Inc. The genome editing market is estimated to reach $3.5 billion in 2019 — an increase from $2 billion in 2014 — with a CAGR of 13 to 14 percent.1,2 The factors driving this market include increased R&D funding for genomic research, a growing demand for synthetic genes, new technologies in genome editing, and high utilization in plant breeding. 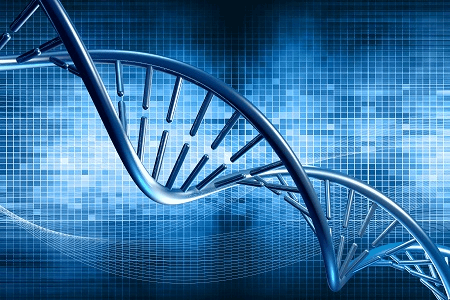 However, high regulatory stringencies, lengthy approval processes, and ethical issues associated with the fear of genetic research hamper market growth. This article examines the utilization of genome editing tools and technology and their impact across the drug discovery industry. Developing an effective and consistent method to make accurate, targeted genome changes has been a pending goal for researchers. Gene or genome editing is a form of genetic engineering in which “molecular scissors” are used to edit (insert or delete) genes at a particular location of the genome. Genetic diversity lost due to domestication can be reverted through the non-transgenic, precision gene editing tools. Applications include editing genes for treating genetic diseases, finding genes responsible for a particular trait or illness, and editing human embryos. Academia has always been the forerunner in the field of genome editing. The University of California and the Broad Institute of MIT and Harvard were pioneers in the field and the two universities entered into a patent battle for CRISPR technology. 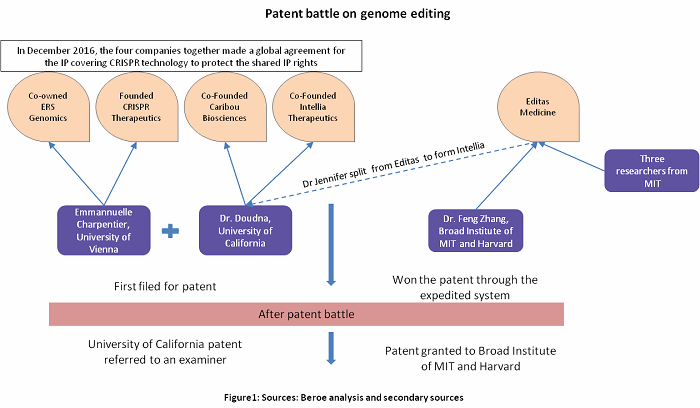 After a legal struggle, a patent for CRISPR technology was granted to the Broad Institute, but the University of California’s patent application had been transferred to an examiner. 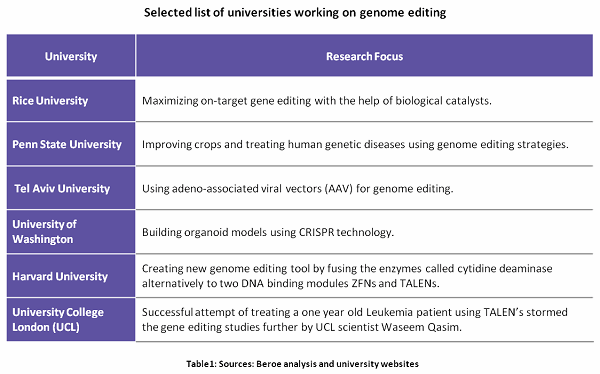 Researchers from these universities have formed several genome editing companies, and major pharmaceutical, biotech, and technology firms have licensed genome editing for clinical and research applications. Genome Editing can be used in every stage of drug discovery — starting with using CRISPR gRNA libraries for target discovery through high throughput screening to CRISPR mediated endogenous tagging. 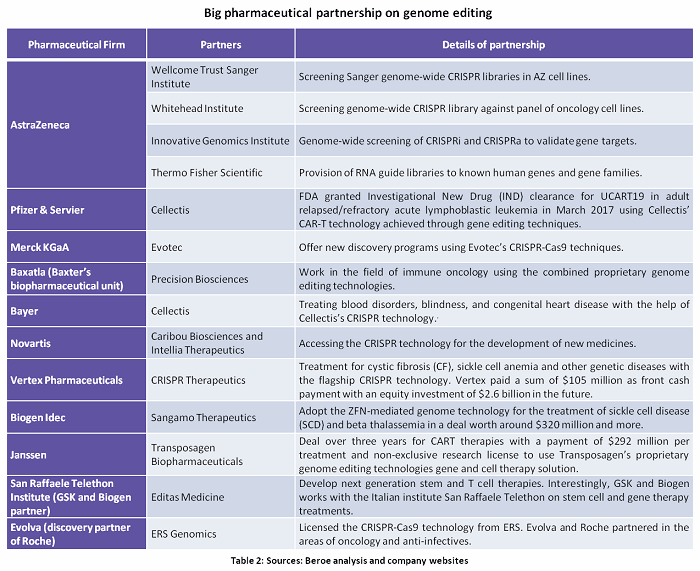 This enables better research outcomes through high content imaging assays.10Tables 2 and 3 and Figures 2 and 3 summarize the key partnerships and developments around genome editing. Gene editing techniques come with their own limitations. This includes associated errors, such as off target episodes that result in unwanted mutations or even in fatal results. At the same time, a lot of uncertainties exist about the impact of genome edited organisms on the environment and health. Genome editing of developing embryos still provokes ethical debates. Even though the gene editing tools do not involve foreign DNA, it distorts the fundamental genetic makeup. However, within a short span of time, genome editing has shown great promise to be a successful innovation, with remarkable rates of research reaching new heights in various applications in the field of drug discovery, crop science and animal health. Mounting investments, including millions of dollars for gene editing startups, further fuel innovation, with products from these firms expected to enter the market in the coming years. Genome editing is one of the latest technologies with potential applications in the field of pharma/biotech, basic research, and animal and plant breeding/agriculture that could make disruptive changes in the future. 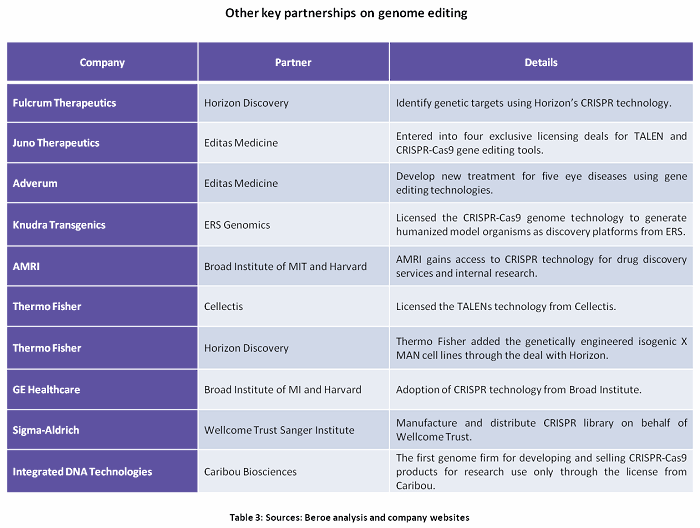 Despite an ongoing patent war and ethical concerns, and few clinical trial outcomes, genome editing seems to be a light at the end of the tunnel due to its rapid innovation and scale of application. 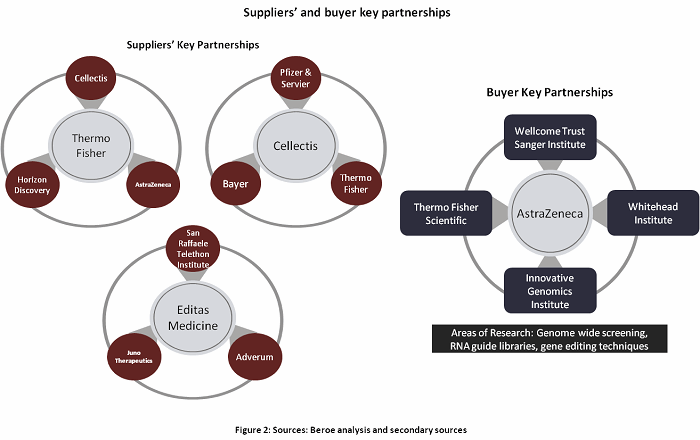 BCC Research, Genome Editing: Technologies and Global Markets, 2016. Markets and Markets, Genome Editing/Genome Engineering Market, 2016. Peters, Adele, https://www.fastcoexist.com/, [Online] March 2016, https://www.fastcoexist.com/3056693/crispr-is-going-to-revolutionize-our-food-system-and-start-a-new-war-over-gmos. Farm Credit Canada, https://www.fcc-fac.ca/en/, [Online] February 2016, https://www.fcc-fac.ca/en/ag-knowledge/technology-and-innovation/gene-editing-spawns-new-wave-of-crop-development.html. Science/AAAS, CRISPR/Cas9 in drug discovery: Applications in target discovery, validation, and hit screening, http://www.sciencemag.org. [Online] May 11, 2016. [Cited: July 14, 2017.] http://www.sciencemag.org/sites/default/files/All%20slides_CRISPR_Cas9%20webinar%20on%2011%20May%202016_v2_051016.pdf. De Almeida, Melanie, http://labiotech.eu/, [Online] May 2017, http://labiotech.eu/crispr-cas9-drug-discovery/. Fessenden, Jim, https://phys.org/, [Online] June 2016, https://phys.org/news/2016-06-scientists-crispr-zika-dengue-weaknesses.html. Dow, Lukas E., Modeling disease in vivo with CRISPR/Cas9, Trends in Molecular Medicine, Oct. 2015, 21(10): 609–621. Enríquez, Paul. CRISPR-Mediated Epigenome Editing, The Yale Journal of Biology and Medicine, 2016, 89(4):471-486. Wrigley, J. D.; Maresca, M.; Birmingham, K.; Bohlooly-Y, M.; and Mayr, L.M., http://www.ddw-online.com/, [Online] Spring 2015, http://www.ddw-online.com/enabling-technologies/p303319-precise-genome-editing:-the-key-to-a-crispr-drug-discovery-pipeline.html. Califf, Robert M., and Nalubola, Ritu, https://blogs.fda.gov/, [Online] January 2017, https://blogs.fda.gov/fdavoice/index.php/2017/01/fdas-science-based-approach-to-genome-edited-products/. Reardon, Sara, http://www.nature.com/, [Online] June 2016, http://www.nature.com/news/first-crispr-clinical-trial-gets-green-light-from-us-panel-1.20137. http://www.nature.com/, [Online] March 2014, http://www.nature.com/news/gene-editing-method-tackles-hiv-in-first-clinical-test-1.14813. Montenegro, Maywa. https://ensia.com/, [Online] January 2016, https://ensia.com/voices/crispr-is-coming-to-agriculture-with-big-implications-for-food-farmers-consumers-and-nature/. Effiong, Utibe; Noor, Ramadhani; and Sibanda, Lindiwe Majele. http://theconversation.com/, [Online] July 2015, http://theconversation.com/can-gene-editing-provide-a-solution-to-global-hunger-43444. Hirschler, Ben, http://www.reuters.com/, [Online] May 2016, http://www.reuters.com/article/us-science-gene-editing-farming-idUSKCN0YH1FS. Hemamalini Kulasekaran is a senior analyst of pre-clinical research for Beroe Inc. She started her career as a research executive working on recombinant human epidermal growth factor (EGF). Hemamalini received her master’s in medical molecular biology from the University of Westminster and previously was with a healthcare market research firm. She is also an engineer with a background in biotechnology and has written publications related to R&D and procurement opportunities. You can contact her at hemamalini.k@beroe-inc.com.